The thing I like most about these vegetable Singapore noodles is that you can throw in whatever you have left in the fridge at the end of the week. Add a few simple store cupboard staples and voila, dinner in 15 minutes. I have been perfecting this recipe for a little while now to get a good balance of sweet, salt and spice and by Jove I think I’ve cracked it. No more takeaways needed! You really can play around with this recipe too; try using different noodles or rice, different vegetables and nuts. Get a large frying pan or wok on a medium heat. Add the peanuts and sesame seeds and fry, dry, until they are lightly toasted. Remove and put to one side. Whisk together the soy sauce, rice wine, sugar and a little black pepper and leave to one side. Get the water on to boil for the noodles and cook the noodles according to packet instructions. While you wait for the water put the frying pan you used for the peanuts back on a high heat and add a little oil. Add the spring onions, carrots and mushrooms and stir fry for two minutes. Then add the garlic, chilli and sweetcorn and fry for another minute. Drain the noodles then add to the vegetables in the pan along with the curry powder and soy sauce mix. Toss everything around well so everything gets coated in flavour and all the vegetables get evenly distributed. Serve and top with the toasted peanuts and sesame seeds. You could add some leftover chicken or pork if you wanted to, maybe a little crispy fried tofu or shredded omelette. The chilli I used for this last attempt was a fierce one, if you’re using a hot curry powder I’m not sure you would need the chilli too; it depends how hot you like it. The key thing is making sure the vegetables are the right sizes to make sure they have a good texture when cooked along with everything else; I like the mushrooms to shrink a little (so they’re finely sliced) but I like the spring onions to retain a little bite (so they are more chunky). Instead of making mystery vegetable soup this weekend, give these vegetable Singapore noodles a try instead and use up those odds and ends. Haven’t had Singapore fried noodles in a while…I love that you can make this vegetarian and still so delicious and tempting! Yum! I love that you have all kind of flavors and texture in this bowl of noodles…very tempting Caroline! This sounds absolutely delicious – and I can’t believe the price! Great value!! I completely forgot to ping back and tell you I made these a couple of times. We used shiitake mushrooms, which added some extra flavor, and the second time some sliced celery. Excellent, and so nice to have something different from our usual stir fry! By Jove…I think you did. Your noodles sound terrific. I LOVE singapore noodles – it’s one of my favorite savory cravings. I am wholeheartedly behind your vegetable version. Looks great! We love noodles! This looks really delicious! What a lovely noodle dish. 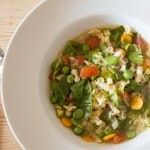 I love this vegetarian tasty dish and it is cheap too! I do think you’ve cracked it and I am so grateful! Singapore noodles are great! Love them. But for some reason, haven’t made them for ages. Years! Gotta make them again, and soon — such great flavor. Your version looks wonderful — thanks so much. I am loving these flavours! Yum! 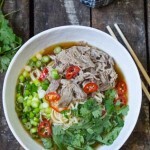 I love a quick noodle dish for a mid-week dinner, the flavours here sound great! Meals that can be whipped up at a moment’s notice and use up all the vegetables in the refrigerator about to be trash are the best. This looks addictive! 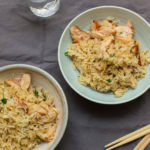 I’m a passionate lover of noodles and your recipe is so appetizing! Can’t wait to give it a try, Caroline!